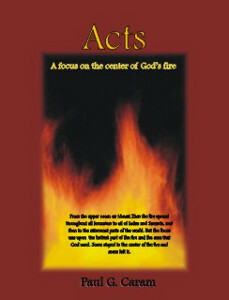 Dr. Paul Caram writes an inspirational commentary on the book of Acts, showing how it is a divine account of a new move of God. The Lord had come to give life to those who were new wine skins and built His church upon the foundation of the Apostles of the Lamb. Dr. Caram also describes how we as believers are to be a part of the move of God in establishing His Kingdom here on earth and how it is Christ's church that will do the "greater works" because He has gone to His Father and sent us His Holy Spirit.